We visited Chambal riverbeds at Pali-ghat near Sawai Madhopur during our RNP visit. Our primary purpose is watching Gharial in its natural habitat. But we are always up for birding. In our Chambal river visit, we find many birds including Small Pratincole, Little Cormorant, Indian Skimmer, little Tern and this beautiful lapwing. It share Chambal riverside with other resident lapwing, Red-wattled lapwing. At distance, we observe something different about their head pattern, hunched posture with head and neck almost cautiously drawn + notable size. When we tried binocular, it shows crest, without doubt its River Lapwing. River Lapwing, as name suggests, found primarily along rivers, in fact hardly ever met with away from them. It is pleasure observing the bird with its crest up. We got some nice clicks of this beautiful black and white bird while its busy in feeding - insects - in the sand and vegetation at the riverside. They look elegant with beautiful blue background of flowing water. Pair is apparently busy in foraging, running in riverbed and seldom calling. Their call is single-noted high-pitched, much like Yellow-wattled Lapwings call. 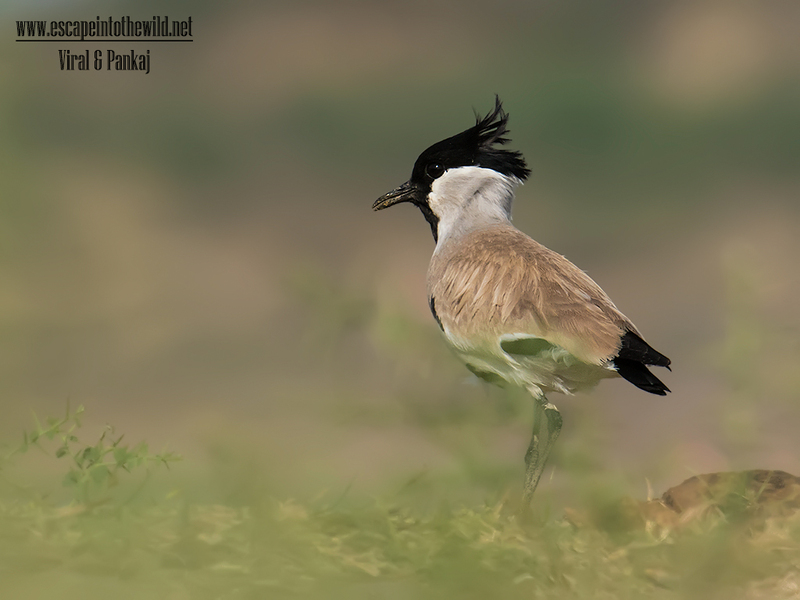 We saw total six pairs of River Lapwing at Chambal riverbed that day. It is a common resident at Chambal riverbeds but lifer for us.